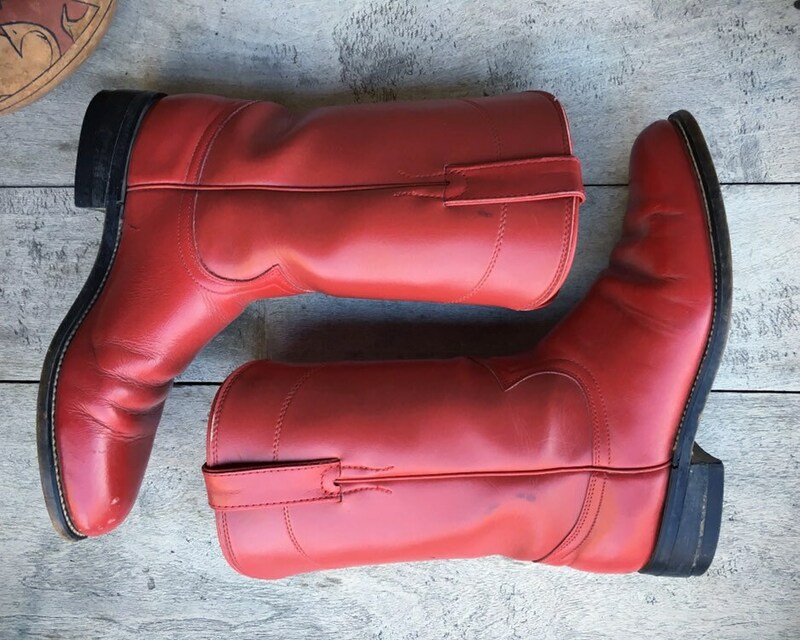 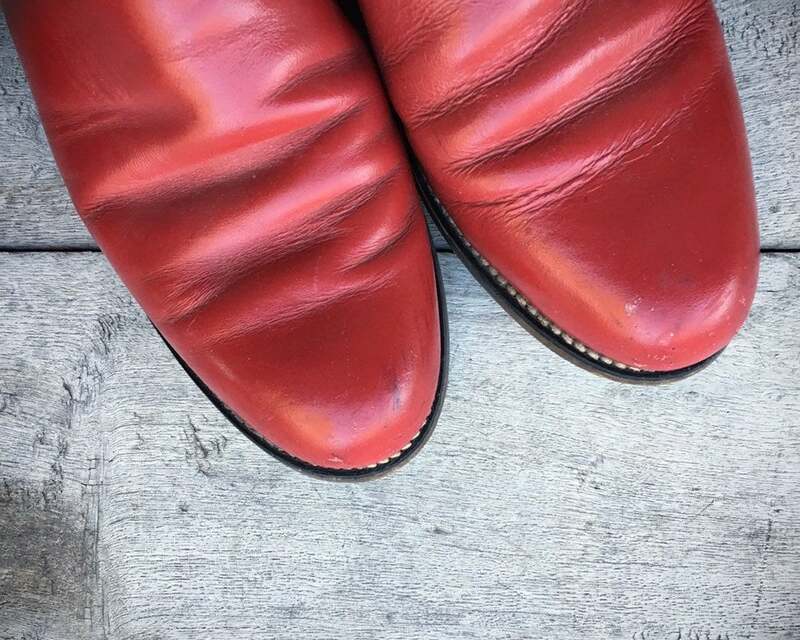 Here we have a pair of round-toed Diamond J Roper boots, Women's Size 6.5 B, in red leather. 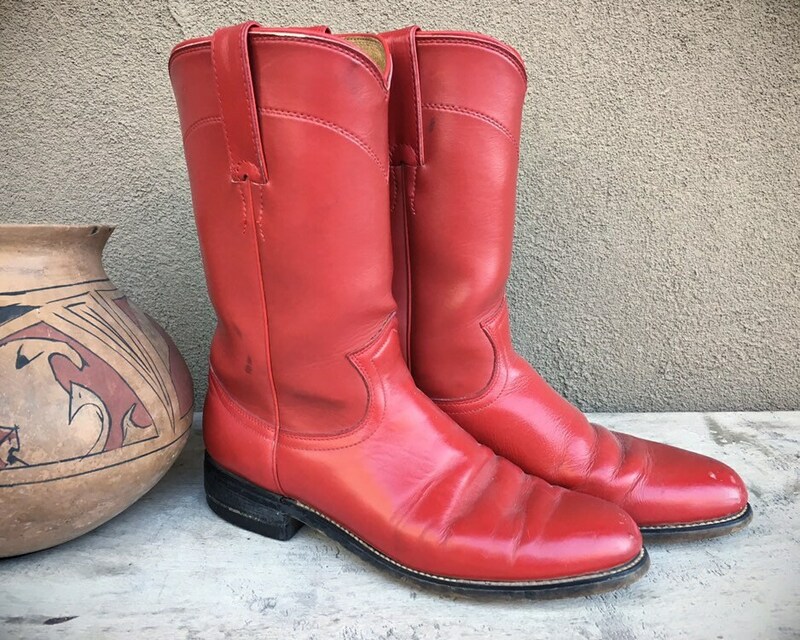 These Made in Mexico boots are circa 1980s, and the leather is a little dried on the inside as well as being stiff from age. 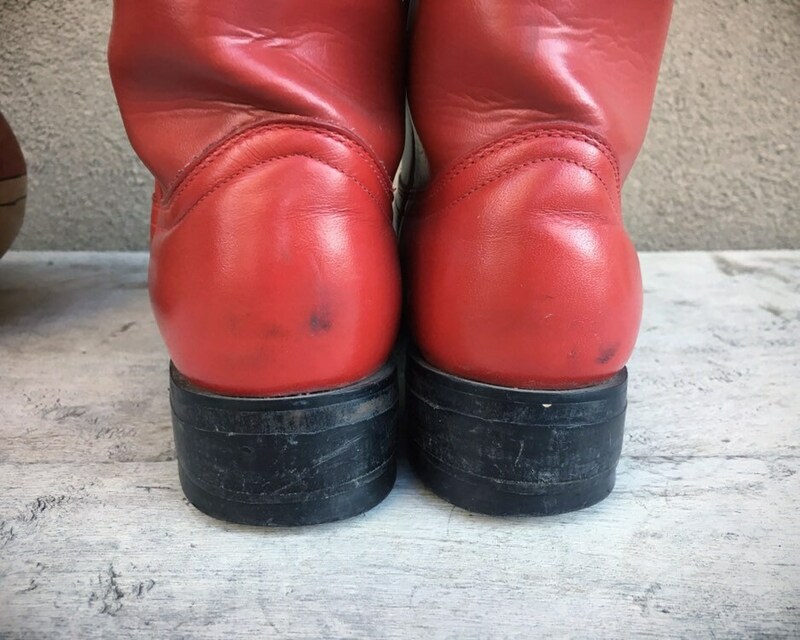 They appear to run pretty true to size, although vintage boots generally run slightly small, so they could be closer to a Size 6. 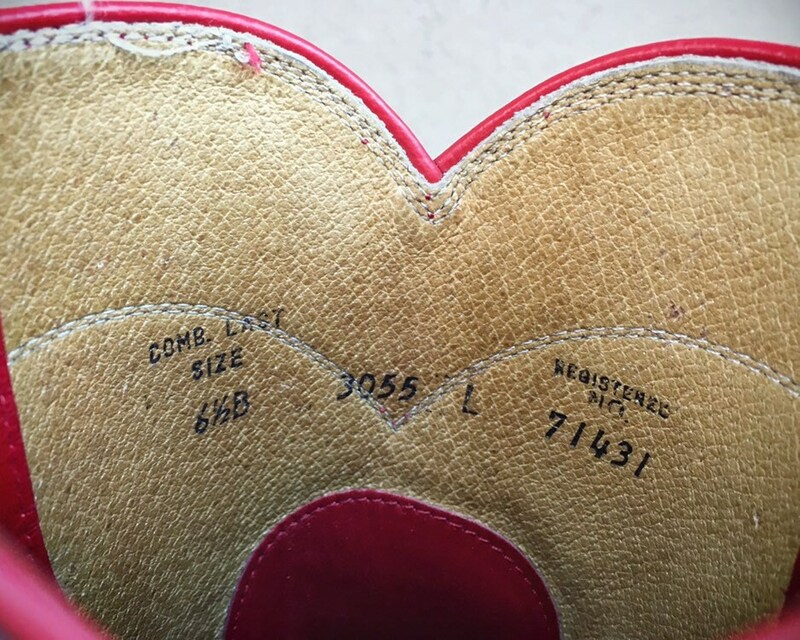 I can't test them out myself for you, so the best way to buy a boot online is to compare the measurements below to a current boot or shoe that fits you well. 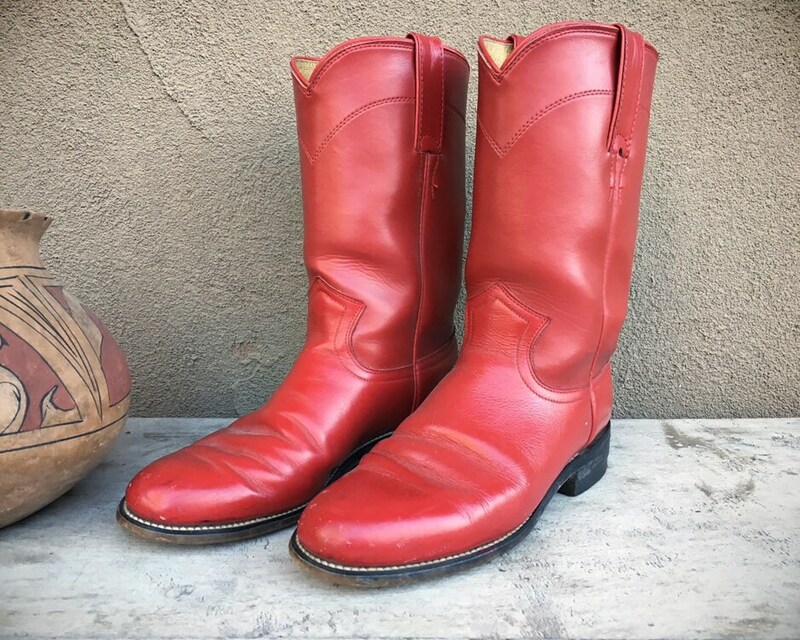 Perfect for the Fourth of July, or to create your own Wonder Woman look. 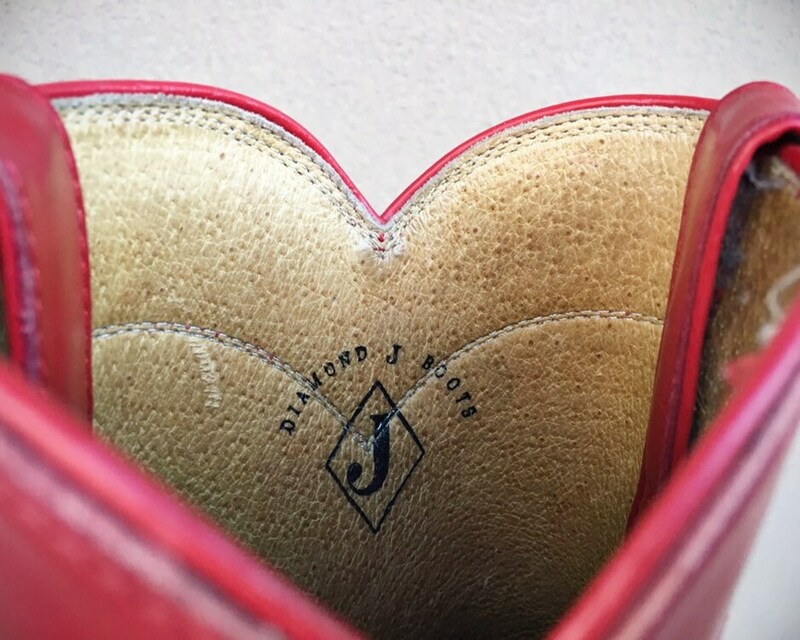 Sole, heel to toe: 10-3/8"
Sole, across ball of foot: 3-1/2"
Shaft, down back from top of the heel (not ground) to the top of the leather upper: 8"
Side seam, from the top of the heel (not ground) to the top of the leather strap: 9-3/4"